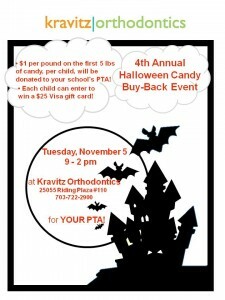 Dr. Kravitz and Team Kravitz Orthodontics are excited to host their 4th annual Halloween Candy Buy Back day! 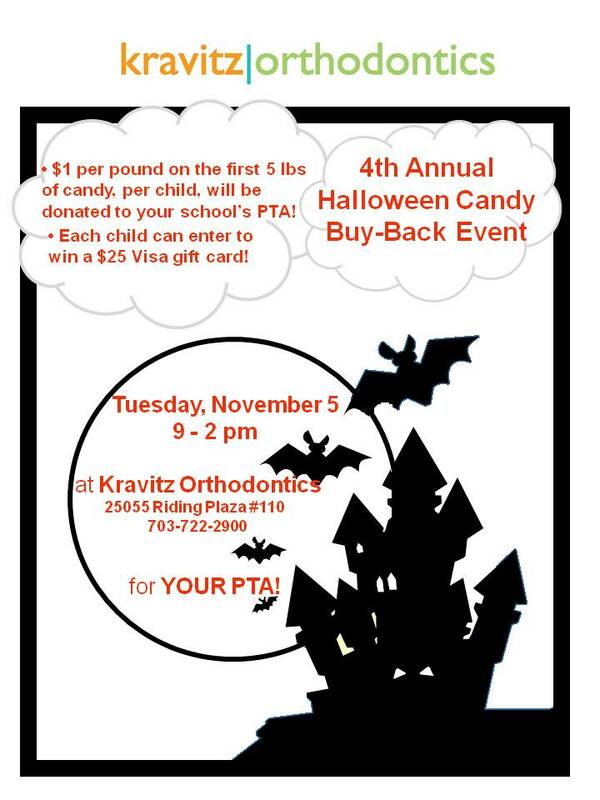 Come into our office on Tuesday, November 5th from 9 am-2 pm with your leftover Halloween candy and earn money for your school's PTA. Each school will receive $1 per pound of candy, up to 5 pounds per child. Bring your family, friends and neighbors to earn the most money! Freedom High School Theatre presents...The Crucible! Ask the expert: Do Wisdom Teeth Really Cause Crowding? Despite popular belief amongst patients and dentists, wisdom teeth do not contribute to lower incisor crowding in adulthood. Blasphemy!, Copernicus!, Leviticus 24:15!, you say? Amazingly, the belief that wisdom teeth contribute to lower incisor crowding is based on an antecdotal statement from a single research paper more than 50 years-old. In 1961, orthodontist Leroy Vego, published an article, "A Longitudinal Study of Mandibular Arch Perimeter" which examined the role of wisdom teeth on lower incisor crowding. Vego evaluated plaster stone models of 65 individuals who have never had orthodontic treatment; 40 individuals with lower wisdom teeth present and 25 patients with lower wisdom teeth congenitally absent (never born with wisdom teeth), over six years from ages 13 to 19. He reported that there was a significantly greater degree of crowding in [those individuals] with wisdom teeth. Vego concluded: "that the erupting lower third molar can exert a force on approximating teeth." From this statement, the theory formulated that lower wisdom teeth "push" the teeth in front of them as they come into the mouth, contributing to incisor crowding. As such, general dentists, orthodontists, and oral surgeons recommended the prophylactic extraction of wisdom teeth to prevent against the relapse of crowding after orthodontic treatment. Ample research exists (References 1-8) which disprove Vego's theory that wisdom teeth exert enough pressure on teeth to move them forward. In fact, numerous elements play a role in crowding, irrespective of whether the individual has wisdom teeth. Most notably, lower incisors tend to drift forward through the bone in the direction of our main chewing muscles (masseter and temporalis). Additionally, bone is continually remodeling and bone in the lower anterior region happens to resorb throughout life. Other factors such as tooth-size, tooth-shape, and original tooth-position also play a significant role. Therefore, little rationale exists for the extraction of third molars solely to minimize present or future crowding. Nonetheless, timely removal of wisdom teeth is still encouraged. Wisdom teeth may develop cavities, gum inflammation (pericoronitis), root resorption of the second-molar, cysts or tumors, impede orthodontic tooth movement, or interfere with proper occlusion, and therefore should be extracted in many patients. In our office, we encourage the extraction of wisdom teeth during late adolescence, prior to the child leaving for college. As the patient reaches greater skeletal maturity, jaw bones become increasingly more dense, which may result in higher post-operative pain following wisdom tooth removal. Typically, after the age of 25, asymptomatic wisdom teeth are not extracted and simply monitored with routine periodic x-rays. I hope this has provided some helpful information on wisdom teeth. Please feel free to respond with any questions or comments or requests for additional information. Little River Elementary-Girls on the Run! Kravitz Orthodontics is a proud sponsor of Girls on the Run from Little River Elementary! Wishing this amazing group of girls the best of luck at their race on Sunday! YOU GO GIRLS! We can't wait to see Dr. Kravitz wear his "Run Like a Girl" shirt when he runs with the South Riding Running Club! Kravitz Orthodontics is a proud sponsor of Lunsford Middle School's book club! This fantastic group of students meet once a month to discuss the book they are currently reading. Dr. Kravitz has donated books selected by the students and staff, including Smile by Raina Telgemeier and Cosmic by Frank Cottrell Boyce.